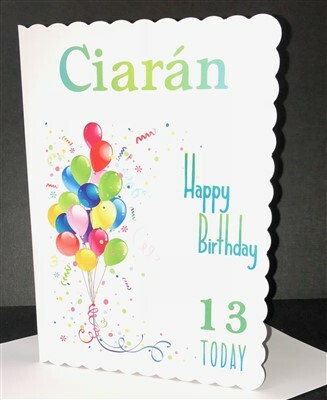 A unique personalised birthday card, sure to impress and stand out. Personalised with name and birthday number. Suitable for male and female. Available in cream or white, please select your colour preference. Standard greeting inside: Happy Birthday! Wishing you all the best for today and in the future.